Achieve your dreams to work with the renown hotels, resorts and spas! 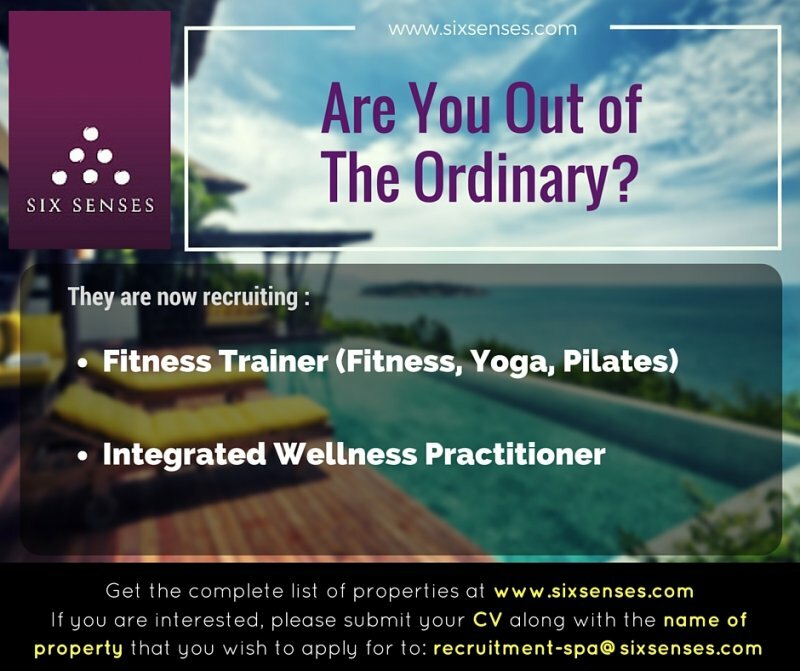 Six Senses Hotels Resorts Spas is Hiring! Six Senses Hotels Resorts Spas is an award-winning hotel and spa management company comprised of resorts in places of incredible, natural beauty around the world. 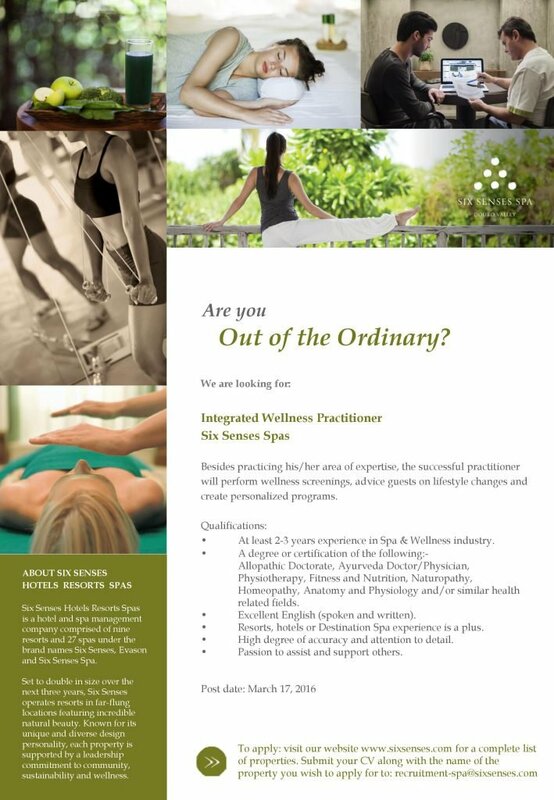 For those who are interested, below are the details and qualifications of the fitness trainer and integrated wellness practitioner. 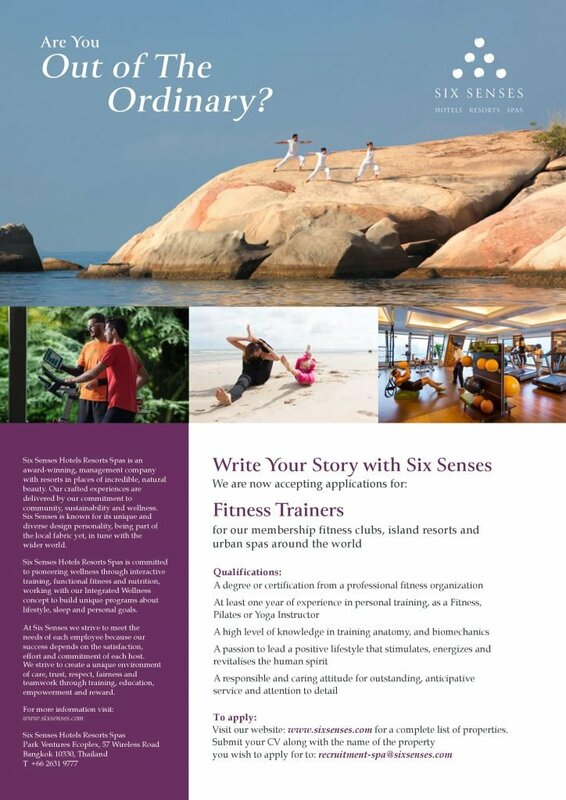 Any inquiries please visit www.sixsenses.com. This entry was posted in Available Careers in Fitness. Bookmark the permalink.